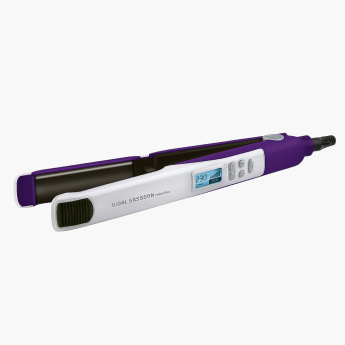 Packed with features to give a high shine finish and provide your hair with good protection, this hair straightener is indeed a great choice. It comes with a ceramic coating and a lock feature as well as adjustable digital temperature control. It has a 1.8-meter cord length for styling freedom.